In 1984, Dixi and Mario Carrillo bought the storefront next door to their home in East Oakland. A few years later, they bought the property next to that. The couple then combined the two parcels, converted them to live-work, and marketed the long, narrow loft units to other artists like themselves. Mario, a painter, gradually added mosaic tiles to the buildings’ exteriors: at first a simple row of red rectangles, and later intricate, jazzily patterned shards of color. 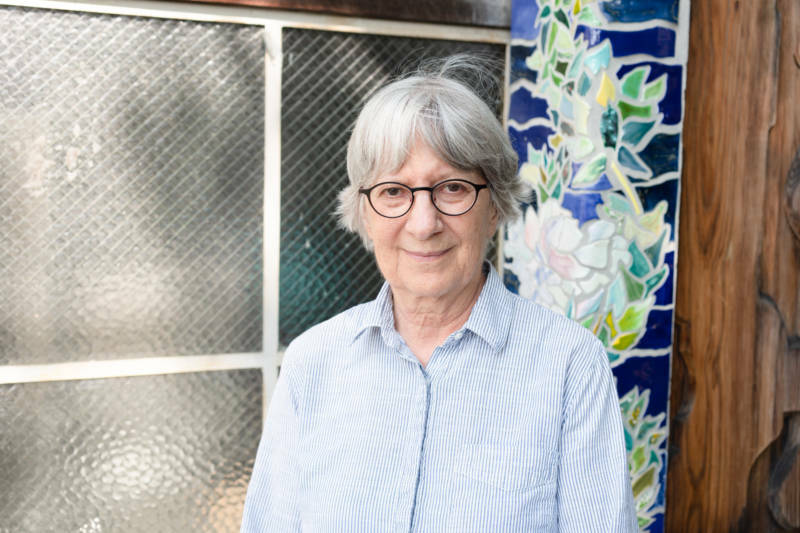 Dixi, 74, a landscape photographer, contemplated selling the 7-unit rental property next to her home when she retired five years ago, but realtors gave her pause. One wanted to make the building his office, and Dixi, after learning of his shoddy record as a property manager, declined the $1.4 million offer. She was nervous for her tenants, two of whom have been there more than 25 years, and she also felt protective of Mario’s artwork. OakCLT, which was founded amid the foreclosure crisis in 2009, owns 24 properties—mostly single-family homes bound by affordability covenants where the nonprofit is the permanent land steward. But last year OakCLT acquired its first mixed-use building: a two-story structure containing four social justice-oriented storefronts and eight housing units. Recently it also bought the commercial-residential building containing controversial cafe Hasta Muerte. The acquisition of Dixi Carrillo's property, at 800 E 24th St., marks its first foray into live-work spaces, which have long provided emerging and underground artists affordable alternatives to remote studios. 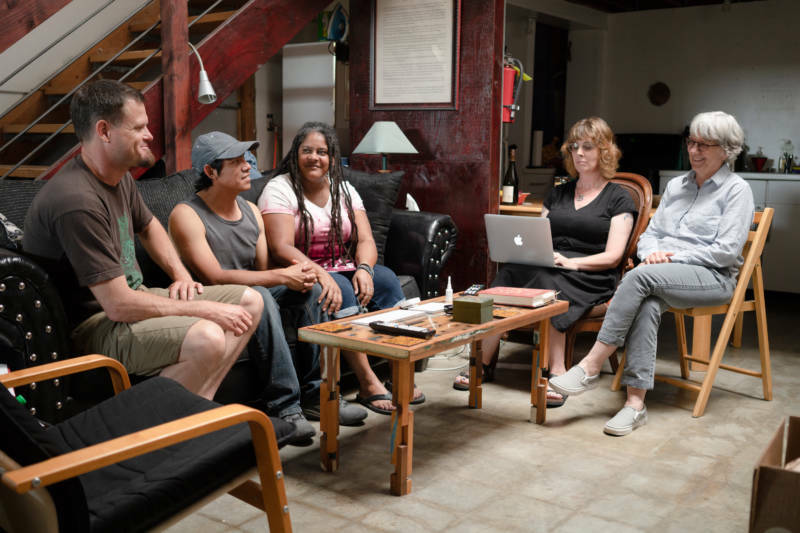 Now Oakland artists are increasingly looking to land trusts and collective ownership models to combat displacement and cultural erasure as real-estate competition intensifies. (The residents of 5th Avenue live-work complex Shadetree recently bought their waterfront home in a land trust-inspired arrangement.) What’s to stop OakCLT from continuing to scale to meet the need? It’s also a question of sellers who are willing—and patient. Dixi and King started discussing the sale four years ago, but couldn’t finance the transaction without raising the current tenants’ rent. 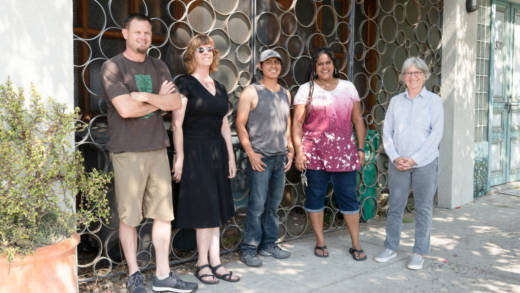 Then, in 2016, King participated in Oakland Mayor Libby Schaaf’s Artist Housing and Workspace Task Force, which ended up citing OakCLT as a model for protecting artist enclaves vulnerable to displacement in its final report. That November, Alameda County voters also approved Measure KK, issuing $600 million in bond funds for infrastructure improvements and affordable housing. To finance the E. 24th St. acquisition, King applied for $900,000 in KK funds, and OakCLT put up $200,000 in equity. The sale closed July 10. “We bought it because we cared about the neighborhood and preserving the environment,” Dixi said. “Now I’ve sold it for the same reason.” The units range from 800-2,000 square feet, with rent averaging $1 per square foot. The residents will continue to pay rent to the land trust, but are considering a limited-equity cooperative, which would give them an ownership stake. Residents include Myles Boisen, an audio engineer and decades-long fixture of local experimental music who moved in 25 years ago; and Polly Moller Springhorn, who lives with her partner and bandmate Tim Walters in a lofted unit with a recording studio. Springhorn moved in three years ago, replacing her guitar teacher. “My old neighbors didn’t appreciate me practicing my voice or flute or guitar,” she said. Now she and Walters rehearse Tuesday evenings; the neighbor’s Malian group practices on Mondays. Dixi said she plans to use the proceeds from the sale to help her daughter, a radio producer in New York, buy a house in Brooklyn. She pointed out more of Mario’s art: a gate made from interlocking chrome circles (which a stolen car drove through mid-construction), and an excruciatingly detailed wooden-door carving. “He went through three Dremels,” she said, noting that OakCLT is in talks with local preservationist Betty Marvin, who led the city’s Cultural Heritage Survey, about memorializing his work. For now, at least, his studio will be preserved, too.